Khata is a property account of a person comprising his property details such as the size, the built-up area, the location etc. The document evidences the person liable to pay the property tax. A Khata is an important document required to acquire a building license, trade license, bank loan, to sell the property or to show legal ownership of the property in BBMP records. Before a Khata is processed, a document named as ‘Uttarapatra’ (acknowledgment of application) is generated. The applicant is normally asked to submit a notarized copy of the Sale deed, latest Tax paid receipt, EC from the date of registration until current date, betterment charges receipt (if applicable) and old Khata document (in case of transfer), following which the applicant will receive the Khata. An ‘A’ Khata is issued for properties that fall under the BBMP jurisdiction. A property with an ‘A’ Khata is considered a legal property and will allow the property owner to construct on the property and obtain a trade or a building license. In cases where revenue properties have not received a conversion of the land use and approvals for the formation of the layout from the competent authority, Khata Registration will not be done unless they are regularized by the government. However, the assessment of the revenue properties for the purpose of paying property tax will be made and entered in the B-register, therefore known as a ‘B’ Khata. There is no separate application to acquire a ‘B’ Khata. Also, this application cannot be filed under Sakala and is to be submitted in the same BBMP office counter. One can generally expect a ‘B’ Khata in 15-30 working days, provided all documents are submitted and there is no further documents asked by the BBMP official. If in case the Khata details are not registered or cannot be registered due to the absence of the approval from BBMP, one can obtain a ‘B’ Khata by submitting documents such as Sale Deed, latest property tax payment receipts, Encumbrance Certificate and Mother Deed. ‘B’ Khata does not hold any legal sanctity and does not hold any ownership proof. It is also not recognized as a valid document by government agencies for any official purpose. Khata Extract is a process of acquiring details from the assessment register in order to obtain a trade license or buy a property. Khata Extract consists of property details such as the name, property size, property use (residential/commercial) and the annual value. A property owner can obtain a Khata Extract by giving a letter of requisition (in a plain paper) along with the details of property, its location, property tax receipt and the Khata Certificate or the ‘B’ Khata copy. The application should be addressed to the assistant revenue officer for the sub-division/range. A mere sum of of Rs. 100/- will be charged for a Khata Extract. One can obtain a Khata Extract in 3 working days. A Khata is transferred in the event of a change of ownership from one person to another through a sale, gift, Will or death of the owner. 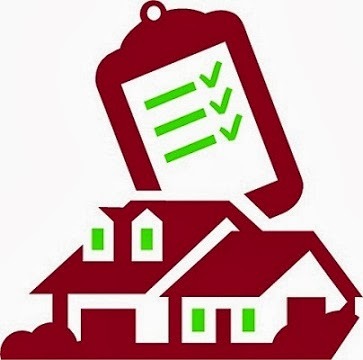 For properties that fall under the BDA or the KHB, the property owner should provide the following documents and can expect the registration done in 7 days and for properties that are under revenue extensions/ BDA re-conveyed areas, gramathana, high-rise buildings (both apartments & commercial complexes), the registration period is 30 working days with a 2 % fee of the stamp duty paid for registration. Khata Bifurcation is a process of dividing the Khata into more than two Khatas. A person can obtain a Khata Bifurcation in 30 days with a processing fee of 2 % of the stamp duty paid for registration. Khata Amalgamation is a process of modifying two or more Khatas into one. The time taken for this process is generally 30 days with a processing fee amount of 2% as of the stamp duty paid for registration. Hi, our apartment has recently got OC and now we need to apply for A khatha. We approached a lawyer who says that khatha bifurcation has to be done before applying for khatha certificate. Also, all 255 flat owners have to apply together for khatha bifurcation. Can you please clarify. 1. Is khatha bifurcation mandatory for applying khatha certificate? Yes, Khata Bifurcation is required as the land which is in name of the single owner (earlier) need to be bifurcated in the name of all 255 apartment owners who have a share on the land. You may ask the Builder to complete the bifurcation process (many times, Builder comply to get the bifurcation done) else need to approach BBMP with all the flat owners (it may be difficult now but once all start staying/association is formed,it may be easier to coordinate) to get the Khata done. BBMp in such case will get the bifurcation completed and issue individual Khata to individual flat owners. The EC is updated on the basis of the registered sale deed with the Sub-Registrar office. The issuing authority is the Sub-Registrar office. Whereas BBMP taxes are paid on the basis of the Khata. So in this case, perhaps the Khata is not updated with the latest or correct information. The Khata needs to be updated with the information basis the last sale deed and the EC, as on date. I have purchased one flat from a builder. This building consists of total five flats. Ag. Which I have purchased one. It is in Atmeya Galiyara Balaga Phase Ii,Hesaraghatta main rd,Blr. It is belonging to grama Panchayat,but in BBMP limits,taxes are paying at BBMP,EC obtained from BBMP. NOW I WANT TO MAKE A KHATHA ALONE(AS AG. FIVE). TAXES ARE UPTODATE,EC UPTODATE. PL.TELL ME I ALONE CAN MAKE A KHATHA. REQST TO CLARIFY IMMEDIATELY. I purchased a flat from builder in Jayanagar 4th T Block, Bangalore. The builder had made agreement with the land owner to build 18 flat apartment and share 9 each I purchased flat owned by the builder but the flat which I purchased was in the land owner’s name. Now, after paying the required fees and documents, the ownership has been transferred to my name and Uttara Patra has been issued. Also, Khata certificate and Khata extract have been issued to me. Please clarify whether I should request you to issue Khata or Uttara Patra will be treated as Khata. If I have to get Khata, what is the procedure I have to follow. Kindly reply. I had got a plot in a layout (Dommasandra, Bangalore) registered in my name in the month of March, 2015. Even though the property was registered, I have not yet received the Khata document in my name after all these months. The layout marketers attribute this to delays due to some BBMP elections, officer change etc. I am planning to construct a house, for which when I approach a builder I hear the Khata transfer is the most mandatory document. Please advise, is there a way I can track my Khata status. Hi Prejish\n\nThe Khata transfer ought to applied for along with the copy of the registered sale deed. It is not an automatic process where you do a sale deed registration and then the Khata is transferred to your name. Please check if you have applied for it or given any such application to the layout marketeers.\n\nIf not, you would need to do it now. You can check with our team if you would like to use the Khata transfer services of HomeShikari. My brother in-law and I have individually purchased a site from a single owner and executed two separate sale deeds.\r\n\r\nNow we both want to construct flats in this site, jointly.\r\n\r\nHow do we deal with khata transfer in this case?\r\n\r\nThanks in advance for your help. Hi Praveen\n \nThe decision of not issuing B Khata for your case may be due to certain legal issues on the particular Survey/Layout/Area and not stopped for all areas. B Khata issuance is going on in BBMP but if your area/layout, BBMP is not issuing anything, then that need to be checked with BBMP on their stand and then only can be noted.